Home » Forum » Contractor Talk Community » Off Topic (Non Trade) » Do You Celebrate Valentine's Day? OMG! I just spit my coffee all over my keyboard. Gonna let her win in a card game? we have celebrated valentines day for like 35 years. it's a toss up whether i cook or we go out. lamb chops & crab has always been a favorite when i cook. Just booked dinner. not sure if I'll do much else. Nope. Not much of a romantic. Me? Heck, I have no clue how to stay married so I am the wrong one to ask but I would have been happy with crispy bacon. I cannot argue with that kind of logic, My typical go to gift is edible arrangements, I’ll have to find out now if they do chocolate covered bacon for my daughter! 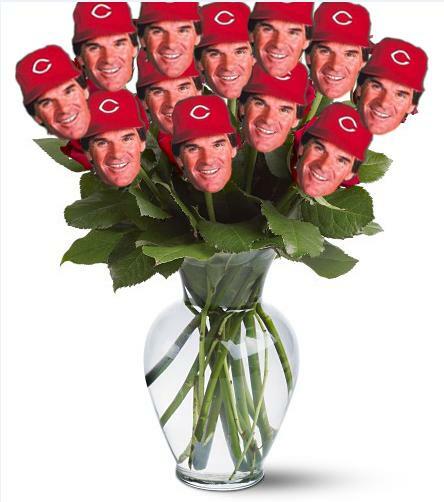 I always send a dozen Roses. We typically do a fancy dinner. Not so much on Valentines Day but, very close to it. Flowers, a card, chocolate and some type of super sugary candy will also be bought. This will be be year 17 of the same MO. I haven't heard her complain about it yet so I figure it must be OK to continue. One year I made a heart-shaped meatloaf. Wife loved it. I get a double whammy. Her birthday is Feb 16. One of our sons was born Dec 26. I don't but my wife sure does. She gets flowers with a card and chocolates. Never was a big fan of VD. Yes a dozen black orchid flowers and a hand written card. Dinner rack of lamb side dish what ever veggies look good at the market. How many times have you had it? Never saw any use after elementary school. How special is it to do something on a day your are supposed to do something? Oh look, you got me flowers, chocolates and took me out to dinner on the day you are supposed to get me flowers, chocolates and take me out to dinner. I show up to my wife's work a few times a year with flowers. I take her out on dates and we give gifts when it is special, not because someone made up a holiday and says we have to do something or we are bums.